Employers rarely advertise a vacancy, until all other measures have failed. But once they decide to advertise, they generally turn to the Internet to do it. inasmuch as 87% of American adults now use the Internet. (That figure was just 14% back in 1995.) 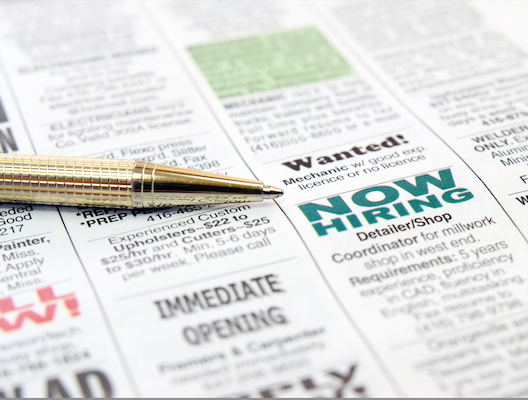 On the Internet there are hundreds if not thousands of places (many of them called "job boards") where employers go, to list the vacancies they cannot otherwise fill. Big boards, small niche boards focussed on just one industry or kind of job, recruiters' boards, employer's own website boards, and social media sites. The Hansens' Quintessential Careers (www.quintessential careers.com ) has one of the most comprehensive lists of them all. For the 13% of American adults who are not on the Internet, employers will generally use classified ads in the nearest metropolitan Sunday newspaper to announce the openings they can't otherwise fill, as in the graphic above. INDEED (www.indeed.com ; also available as a mobile app Indeed Job Search) is a search engine that searches for only one thing: job openings. It scours the web for them, and pulls them up from anywhere and everywhere. 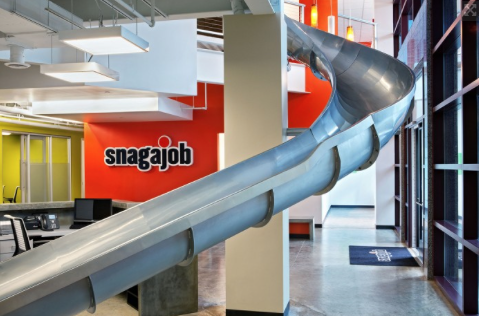 This is technically called a job aggregator. INDEED is reputedly the largest aggregator in the world. It has jobs it picked up from job boards, company sites, sites with part-time jobs, and anywhere else on the Web. SIMPLYHIRED (www.simplyhired.com also available as a mobile app Job Search - SimplyHired ). It is Indeed's chief rival. craigslist (www.craigslist.org) is not, technically, a job board. People, in fact, can advertise just about anything on this site (or to be more accurate, this family of sites). But quality jobs do tend to gravitate toward craigslist, and many job-hunters have found jobs listed here that they find nowhere else. Now, what did I mean by family of sites? Well, there are over 700 "cities" in 70 countries that have craigslist sites. (Some craigslist sites cover large regions instead of individual metropolitan areas.) So, when you type the url above into your search engine, you will find you are automatically taken to the craigslist site for the geographical area that you live in, or near. And only jobs that are near you, are advertised there. If you want to move to another area of the country (or the world) you're going to have to type in the name of that city or region. Very valuable site. Incidentally, that's Craig himself (Craig Newmark) in the brown coat above. 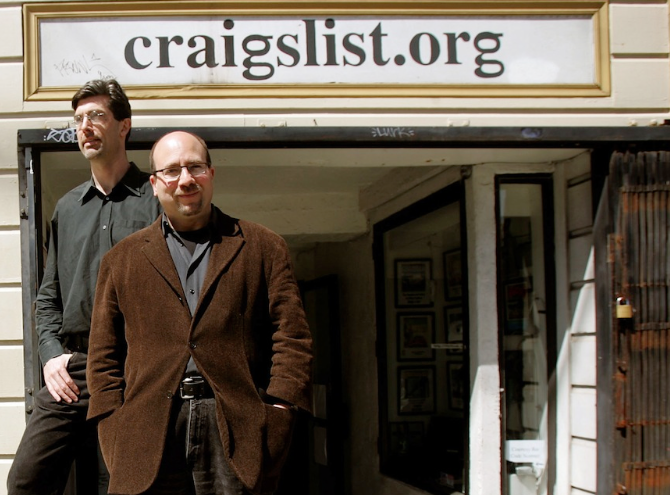 He founded craigslist in 1995.
snagajob (http://www.snagajob.com/find-jobs) is the #1 job search site for part-time or hourly jobs. Its chief competitor is GROVEJOB (http://www.groovejob.com). If you're looking for part-time or contract jobs, teen jobs, summer jobs, or college jobs, you probably ought to look at both sites. DICE (www.dice.com) is the primary site for information technology and engineering professionals looking for work. It lists as many as 80,000 jobs a day. 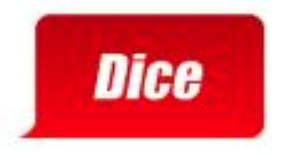 Incidentally, in case you were curious (and I'll bet you were), DICE stands for "Data-processing Independent Consultant's Exchange."